If you’re an undocumented student in California, you may be eligible for funding to attend college. Here’s what you need to know. In 2011, California state legislature signed into law the California Dream Act, which is short for Development, Relief, and Education for Alien Minors. Because of this legislation, high school students who are non-residents in California can qualify for in-state college tuition. 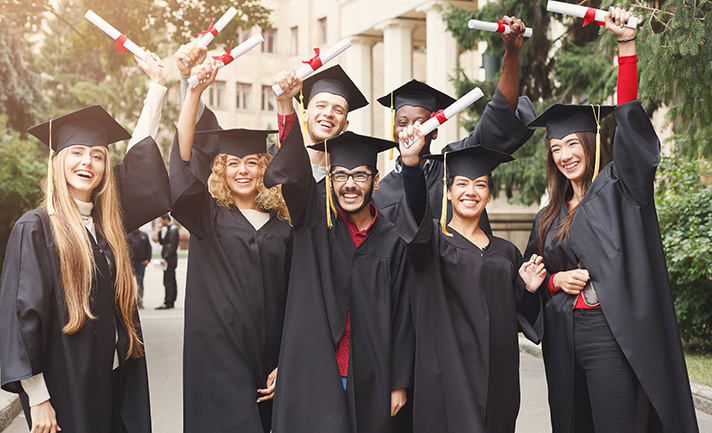 This means that a student who came to the United States before age 16 without the proper immigration documentation or visa paperwork can attend a California college for the same price as his or her peers who are U.S. citizens. What Other Funding Is Available Through the California Dream Act? In addition to in-state tuition, qualified students also become eligible for additional financial aid programs including private scholarships, university grants, community college fee waivers, state-administered financial aid, and Cal Grants. Who Can Qualify for the California Dream Act? Undocumented students must meet a series of requirements that are laid out in AB 540 non-resident tuition exemption. Qualified students must have attended a CA high school for three or more years. Alternatively, qualified students can have earned high school course credits equivalent to three or more years and have attended at least three years of schooling at either a CA elementary school or CA secondary school. Eligible students must be planning to attend a qualifying college or university. After receiving acceptance notification, you must submit a Statement of Intent to Register at your selected school. Students must sign the request form to confirm that they meet the requirements, and if undocumented, students must plan to adjust their immigration status when they become eligible. Students who have non-immigrant visas are ineligible for the California Dream Act. The exception is T and U visa holders who are eligible if they meet the other requirements and have an approved permanent residence application. How Do You Apply for the California Dream Act? The California Dream Act online application is available through the California Student Aid Commission website. Alternatively, paper applications in English or Spanish can be downloaded and filled in by hand. The application covers background information, parent information, and financial details. Typically, the California Dream Act application replaces the need for a FAFSA financial aid application. When Is the California Dream Act Application Due? Applications can be filed starting on October 1, and the priority deadline for the application is March 2. Applying after the deadline does exclude you from some types of financial aid, such as Cal Grants or the Middle Class Scholarship. However, even if you’ve missed the deadline, you can still be considered for funding from the California College Promise Grant. In future years, applying before the priority deadline will make you eligible for all aid types. What Other Things Can You Do to Help Pay for College? There’s a wide variety of financial options for paying for college. In fact, financial aid at the University of California has helped more than two-thirds of all students to receive grant and scholarship funding, with more than half of undergrads paying no tuition at all. However, if your financial aid package leaves you with a bigger tuition bill than you can afford, a few other options can help pay for college. The California Dream Loan Program provides student loans to non-residents who meet the eligibility requirements. The loan program is only available for students at the University of California or California State University. For students looking for other options, we’ve identified ways you can avoid or reduce the amount of loans you’ll need to attend college. This includes smart strategies for cutting costs, balancing a job with classes, and finding ways to get paid for things that you’re already doing. For example, the OneClass Note Taker program can help you earn gift cards for uploading the lecture notes from your college classes.